There are almost as many different opinions of what makes a good executive as there are leaders and business experts. We took a look at a few of these individuals’ outlooks, mixing examples and insights from both world-famous leaders and people who aren’t quite household names – or, at least, not yet. In a June article for Inc. magazine, Peter Economy, also known as “The Leadership Guy,” listed nine characteristics that he believes define great leaders. According to Economy, standout executives exhibit confidence, awareness, empathy, focus, accountability, honesty, confidence, optimism and the ability to inspire. Around this time last century, Andrew Carnegie was the richest man in the world. As Richard Feloni reported for Business Insider, this self-made success story shared many of his observations and strategies with journalist Napoleon Hill, including a 31-item list of traits that go hand in hand with stellar leadership. The more of these characteristics executives possess, the better they will perform within their roles, Carnegie asserted. The news source published a summary of all 31 attributes, and we chose five that were particularly resonant. Charisma: When it comes down to it, leaders are people just like everyone else. Across all walks of life, likeable individuals tend to command more support and respect than those who are abrasive, manipulative or otherwise off-putting, and leaders are no exception in this regard. “Sound leadership is based upon effective salesmanship, the ability to be sympathetic and to make one’s self pleasing to others,” Carnegie said, quoted by Business Insider. Persistence: When you look at the professional histories of even the most famous, respected and wealthy leaders, you’ll find that none of them have records of batting a thousand. Carnegie saw persistence as a mark of great leadership, not success at every turn. Stoicism: It can be easy for individuals in leadership positions to let their personal emotions cloud their judgment, but Carnegie believed the best executives know how to resist this temptation and make professional decisions built upon a foundation of objectivity. Although Economy’s nine traits of great leadership were written decades after Carnegie’s 31, there is some degree of overlap – both included accountability, decisiveness, focus and optimism on their lists. As Entrepreneur reported, Devine believes accessibility and openness are a non-negotiable part of leadership. Insureon’s open-plan Chicago office makes it easy for employees to approach Devine and vice versa. Rather than being cloistered behind closed doors and opaque walls, the CEO is on the floor right next to department managers and their direct reports. For Devine, availability is a crucial ingredient of great leadership. 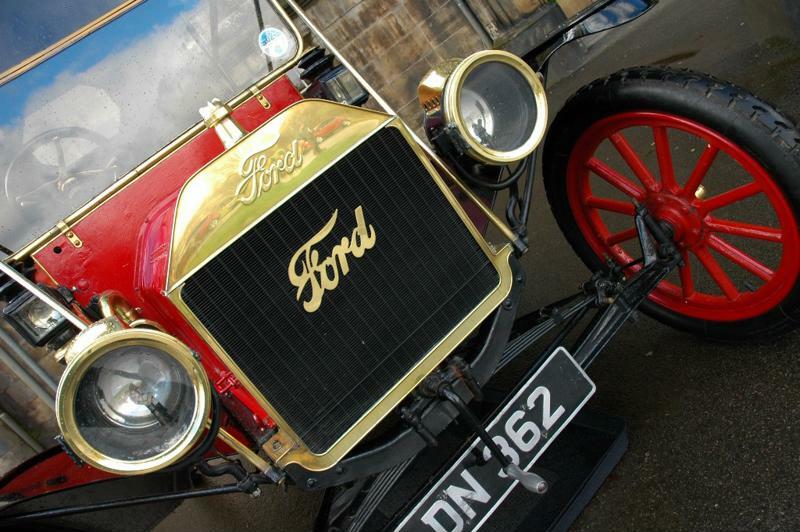 More than a century after it was founded in 1903, the Ford Motor Company is still going strong. Today, founder Henry Ford’s surname is emblazoned on vehicles across the country – and, indeed, the world. What many people don’t know is that before he invented the Model T and made automobiles affordable for the general populace, Ford struck out in the 1890s with the whimsically named Quadricycle, described by Forbes contributor Micha Kaufman as “a vehicle made up of a frame mounted on four large bicycle wheels with an ethanol-powered engine.” Rather than letting this failure get him down, Ford bounced back with the Model T just a few years later, embodying the persistence that Carnegie pointed to as a key leadership trait. The Model T revolutionized the automobile market. Ingersoll believes leaders can markedly drive up rates of employee engagement and performance by displaying a commitment to learning. According to Entrepreneur, the average age of an employee at Ingersoll’s Mountain View, California-based company is 30. Numerous studies have found millennials to be particularly responsive to corporate investments in learning and development, but leaders with an eagerness to boost their employees’ skills and knowledge have been reaping the benefits for decades – even centuries. In part two, we’ll take a look at some more traits identified as being key to great leadership.